The remains of at least five individuals from a previously unknown human species have been identified in southern China. The bones have been dated to between 11,500 and 14,500 years ago. Scientists are calling them simply the Red Deer Cave people, after one of the sites where they were unearthed. “One of the reasons for that is that in the science of human evolution or palaeoanthropology, we presently don’t have a generally agreed, biological definition for our own species (Homo sapiens), believe it or not. And so this is a highly contentious area,” he said. The remains of some of the individuals come from Maludong (or Red Deer Cave), near the city of Mengzi in Yunnan Province. 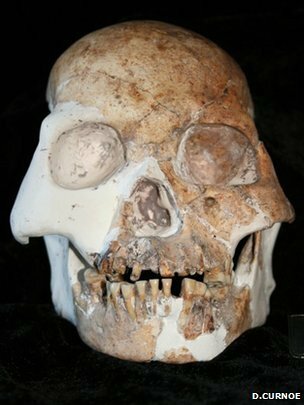 A further skeleton was discovered at Longlin, in neighboring Guangxi Province. Dr. Darren Curnoe and colleagues put forward two possible scenarios in their PLoS One paper for the origin of the Red Deer Cave population. 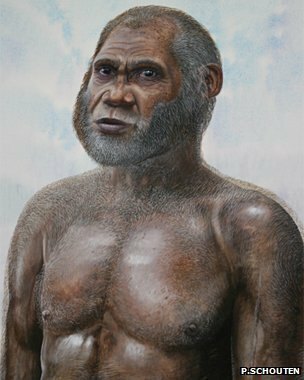 “It’s possible these were modern humans who inter-mixed or bred with archaic humans that were around at the time,” explained Dr. Isabelle De Groote, a palaeoanthropologist from London’s Natural History Museum. Dr. Darren Curnoe agreed all this was “certainly possible”. “The Red Deer People were living at what was a really interesting time in China, during what we call the epipalaeolithic or the end of the Stone Age,” says Dr. Darren Curnoe.